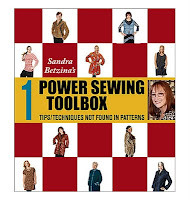 So I am caught between an itching for some sewing time and total apathy, sounds familiar? Don't you just hate it when you start doing something and in a while just want to quickly check if that email you're been expecting has arrived. Two hours later you are still online and feeling sooooo lazy to go back to work! Well I do! I hate wasting time and it looks like I am very very good at it lately, wasting my precious time. Back to the coat, I am going to add a zipper to the front instead of concealed snap fasteners, and I decided against the lining. I just want something light you can wear on a cool spring-summer night. I will have to either bind the seam allowances or use the overlock- I will check what looks better- I have some black satin bias tape, but I have to pop into the shop for a zipper (the ones I have at home are all too short), so I might see something nice there for binding. So now, after all this blabbering, I feel it's time to retire to my workshop again, so I will be back soon with the finished result, I hope! What an amazing pattern. It is unbelievably simple to sew, just a couple of seams and the whole thing already looks like it is coming together- and quite nicely!!! I bound the hems of the sleeves with the black satin ribbon and I will do the same to the seam allowances of the bottom hem. Funny but even though the sleeves have a darker cuffs on them in the photo- there s nothing like it in the pattern/instructions. Go figure. Too bad I have to wait till tomorrow to get that zipper, at it looks like it could be a "3 hours work" coat. So as there is no point in rushing, I am alternating sewing with some blogging and online socializing. Also need to get black raglan shoulder pads for best shape, so might check out ebay before going to bed too. Here is a finished coat following my Up in the Air post The pattern from older Burda Style magazine has always kept me dreaming, so now with a bit of inspiration and a wool blend fabric with a nice black and gold pattern, the coat is mine! 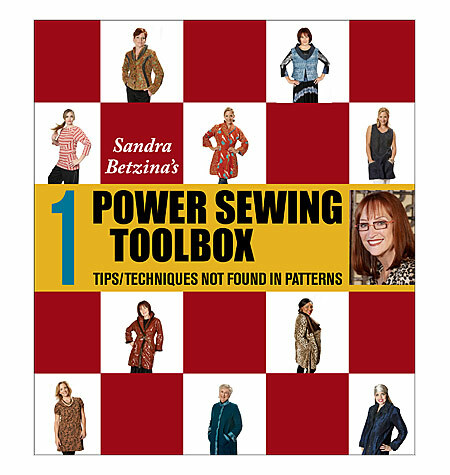 The most fascinating fact about it was that itentered into Sandra Betzina Power Sewing online Looking Great in Green competition and it won 2nd place! I received an email with congratulations and a book ( pictured on the right) as a prize. Wow- that was unexpected! I amended the original press studs and added a golden zipper. I had a bit of a gold/black trip that I added on the top of the collar and to give the coat a touch of glamour. I understand that feeling perfectly... I hope your coat comes together soon!